We love to entertain! 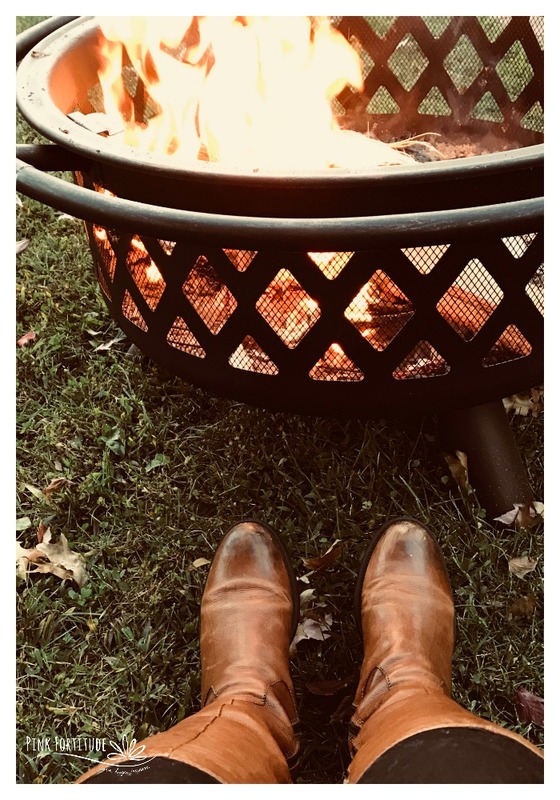 When the air gets a little cooler, we just take the party outside and get the fire pit going. 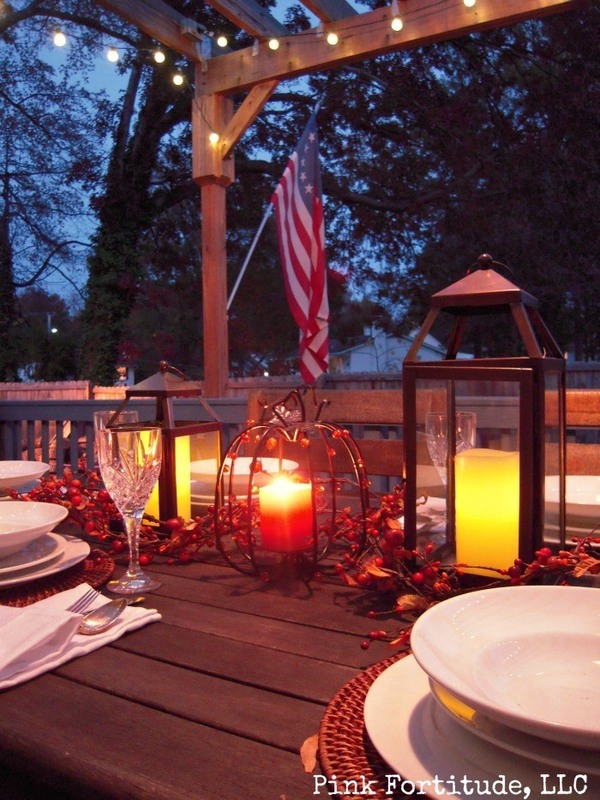 There is nothing more cozy than an outdoor dinner party with all of the lights and ambiance! We have plenty of chairs to gather around the fire pit after dinner and enjoy some warm beverages. 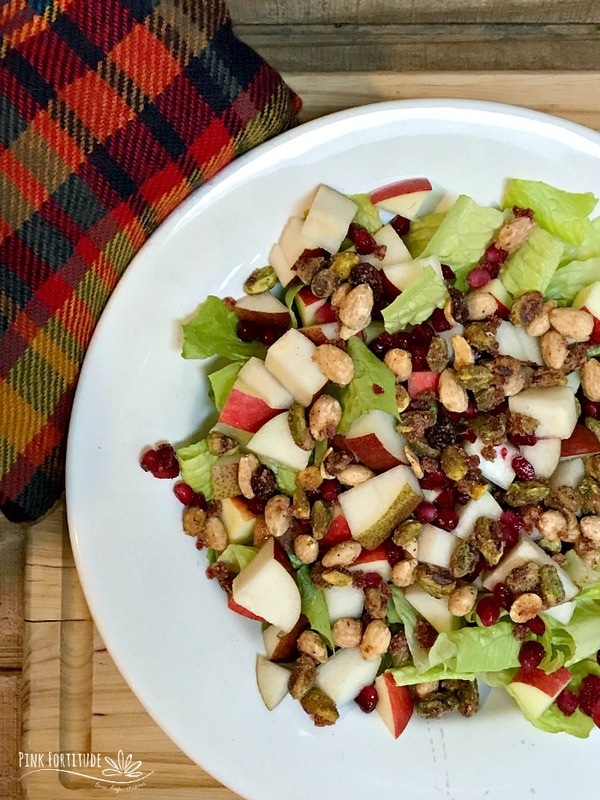 When it comes to entertaining, we always try to include a seasonal salad. 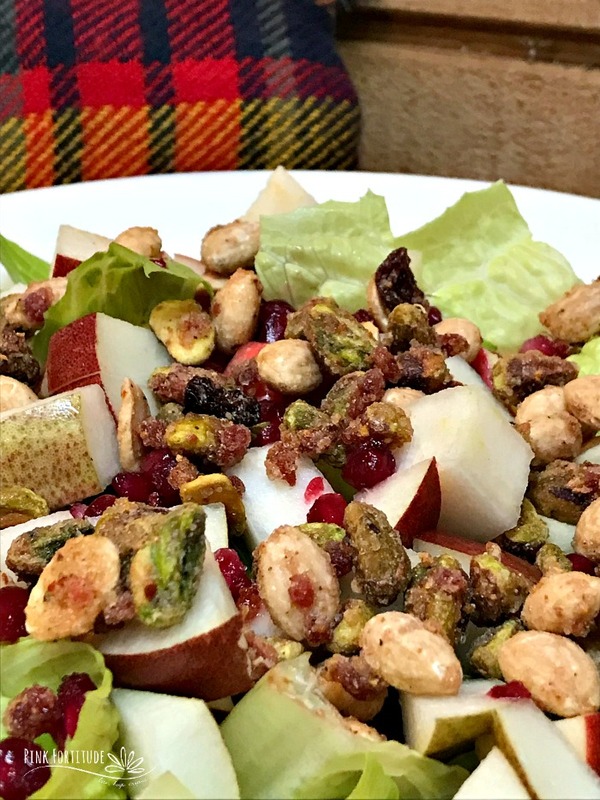 This pear and apple salad is perfect for fall entertaining, and fancy enough for the holidays. 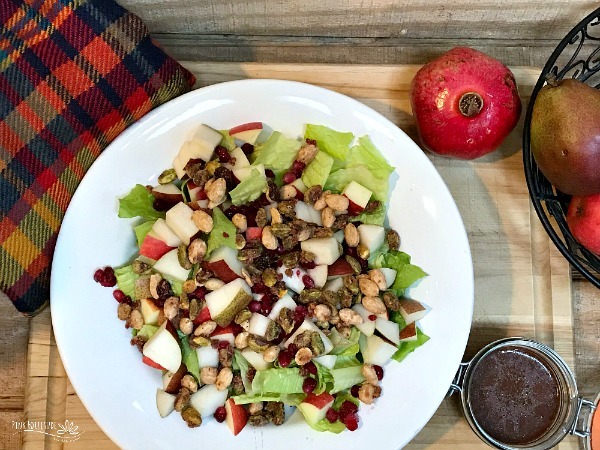 It’s equal sweet and savory and the dressing is also easy to whip up! 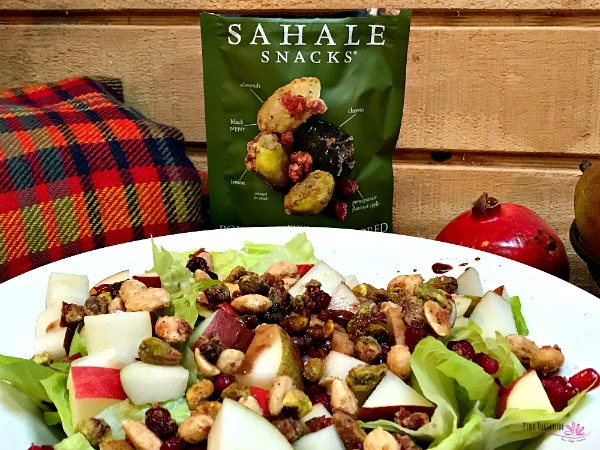 Sahale’s Naturally Pomegranate Flavored Pistachios Glazed Mix is one of my favorite snacks. 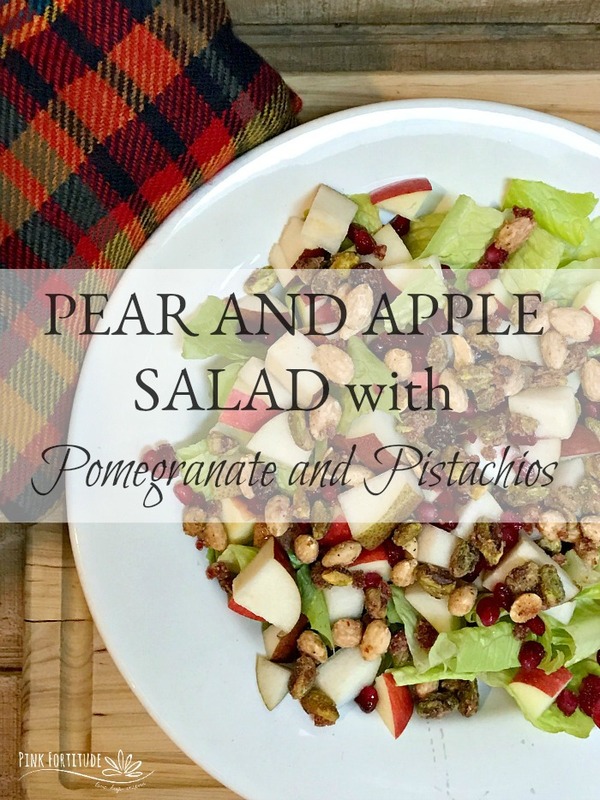 With whole roasted pistachios and almonds, cherries and pomegranate flavored apples, lemon and black pepper…. it’s like a trip for your taste buds. I’ll let you in on a secret… don’t just pick up one bag for the recipe… grab several. Trust me. You are welcome! 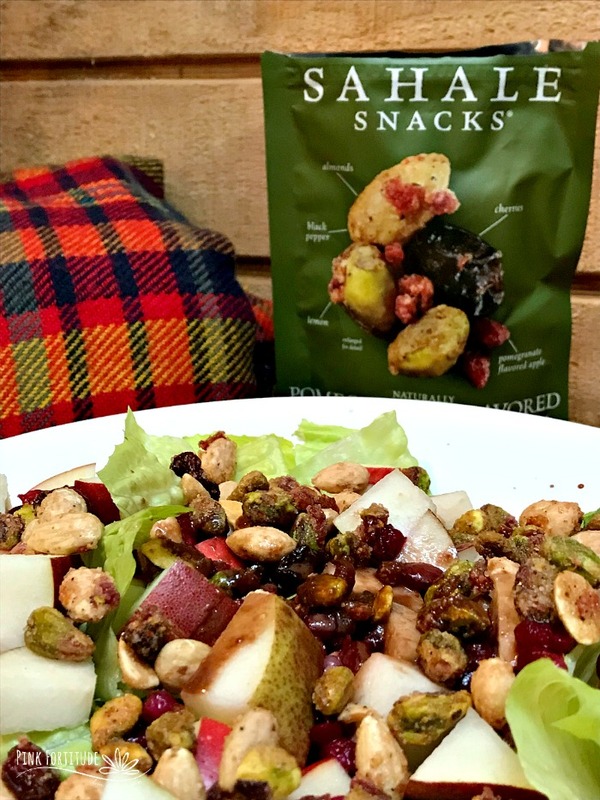 They are perfect for hiking, after school snacks, road trips, and all of those times you need to nosh between Point A and Point B. They are also great to mix up in some savory recipes. Pomegranates, apples, and pears all come into season in the fall, you can also pick them up any time of year! 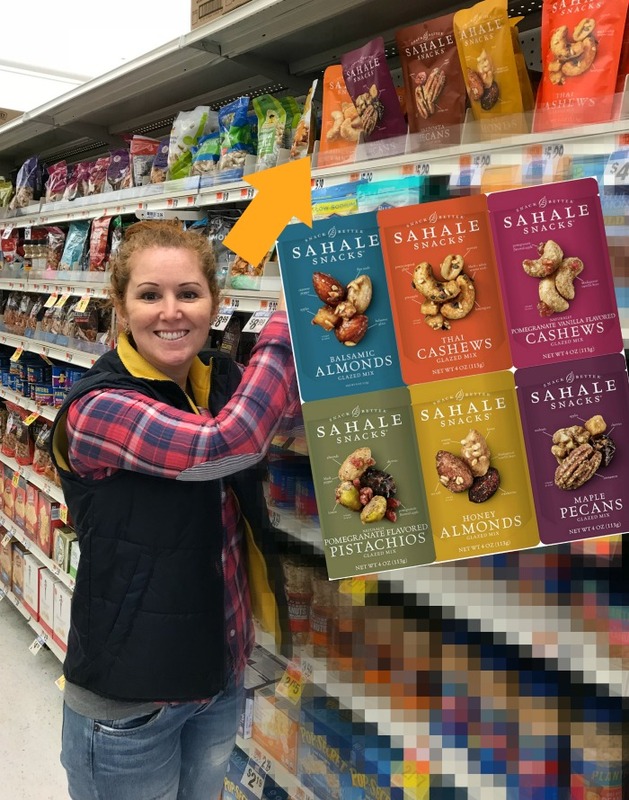 Sahale snacks are available at the following retailers. Click on the store near you to get a coupon for $1.50 off one 4oz bag. Coupon is valid from October 29, 2017 through December 29, 2017. 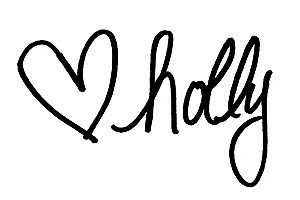 Love, hugs, and eating salad for dinner. 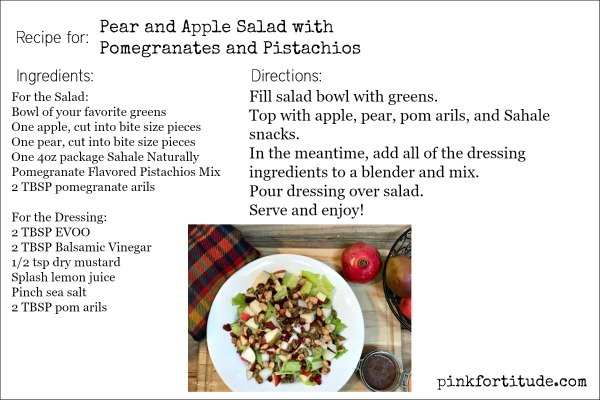 What a lovely salada perfect for fall gatherings at home. 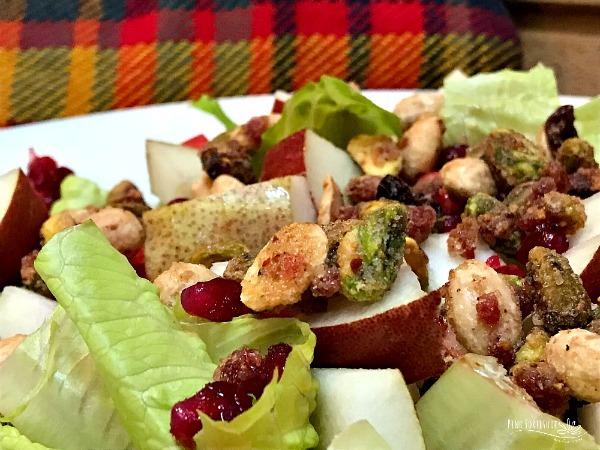 Love the idea of using seasonal fruit and nuts.